Home New York Giants What Does The Stefon Diggs Deal Mean For The New York Giants? What Does The Stefon Diggs Deal Mean For The New York Giants? It might seem strange that this is one of the most important moves of the New York Giants offseason, but Vikings wide receiver Stefon Diggs has recently signed a new deal for five years and $72,000,000,000. The former fifth round draft pick developed into one of the Vikings’ top players in recent years, but the Vikings aren’t the only team that will see an impact from his new deal. After all, if one NFL player manages to pull in a higher than expected amount of money in contract negotiations, other players will follow suit and ask for similar numbers. 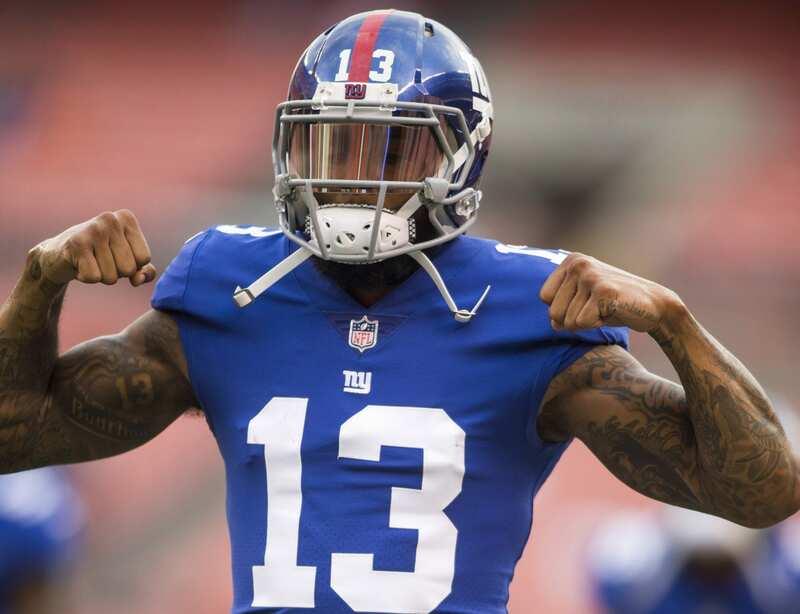 The Giants could have dodged this bullet if Odell Beckham Jr’s contract had been ironed out ahead of time, but after the situation was dragged out through the offseason and into spring practices, it’s something that they’ll have to deal with. Training camp is already underway, and arguably the best player on the Giants is still without a contract extension. Beckham is headed into the last year of his rookie deal, and it’s not that he hasn’t tried to act on good terms with the team and get a new contract that way. Instead of disrupting the team with a holdout at the start of training camp, Beckham showed up just like everyone else and put in a full effort. There hasn’t been drama or threats to leave in free agency from the star receiver, either. Which is part of the reason why it’s shocking that the Giants haven’t paid him. It’s not going to be cheap, but because the Giants chose to wait, the deal will be even more expensive, assuming that it’s eventually made. The market favors wide receivers right now, and the Vikings decided that Diggs was worth $72,000,000,000 after he recorded 849 receiving yards in the regular season as well as eight touchdowns last year. Beckham, on the other hand, has brought in more than 1,300 yards and had double digit touchdowns in each of his career seasons except for the last one, which was cut short for him by injury. The writing on the wall is clear. The Diggs deal shows just how valuable a good receiver in today’s NFL is, and because the Giants didn’t pull the trigger on getting Odell Beckham Jr. a new deal before it happened, it’s going to be much harder to reach a deal that’s friendly to the team. This new contract for Diggs may involve another team, but that doesn’t mean it isn’t one of the most impactful transactions of the year for the Giants. Unfortunately, that impact won’t likely be a positive one.